Welcome to the online dealership of Alexandria Volkswagen, your premier Volkswagen dealership in the Alexandria, Arlington; Washington, DC; and Northern Virginia area. Our website has been designed to provide our customers with all of the necessary information to purchase a new Volkswagen, or one of our many used cars. Our highly trained sales staff has earned a credible reputation with their many years of service and commitment. Our goal is to make sure that each of our customers receives the quality service that we have built our name on. We offer an extensive inventory of both new and used Volkswagen models available at competitive prices. However, our support does not end after the initial sale has taken place. We take pride in keeping your car in the same condition in which it rolled off the showroom floor. You do not have to take our word for it; let our sales, service and parts speak for themselves. We have a fine complement of trained and friendly sales consultants to help you make a selection of the right vehicle that fits your needs. Conveniently located and easy to get to, just minutes off 395, the beltway and DC. Home of the ultimate rewards program. Why Shop at Alexandria Volkswagen Near Arlington? 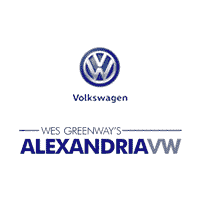 When you choose Alexandria Volkswagen for your new Volkswagen, you’ll get more than just great service. We offer perks other car dealerships in Alexandria, VA don’t provide like a convenient courtesy shuttle. That makes it easy to take care of Volkswagen maintenance and get back on the On top of that, we carry used cars Alexandra, VA shoppers can trust for years to come. Contact us with any questions or stop by our showroom near Washington DC.